Below you will find access to all standards that My Study Series offers at Level 3 Science for NCEA. 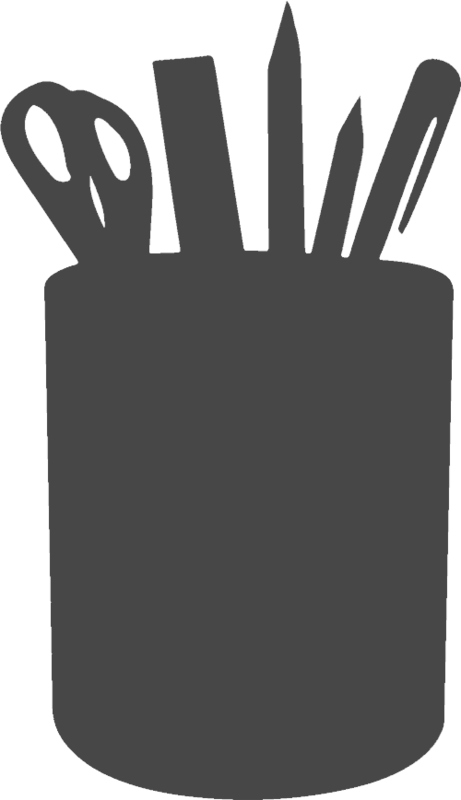 By clicking on an achievement standard, you will be presented a list of video lessons for you to observe. Each lesson is concluded with an automated, self graded quiz allowing you to check your understanding of the lesson content. 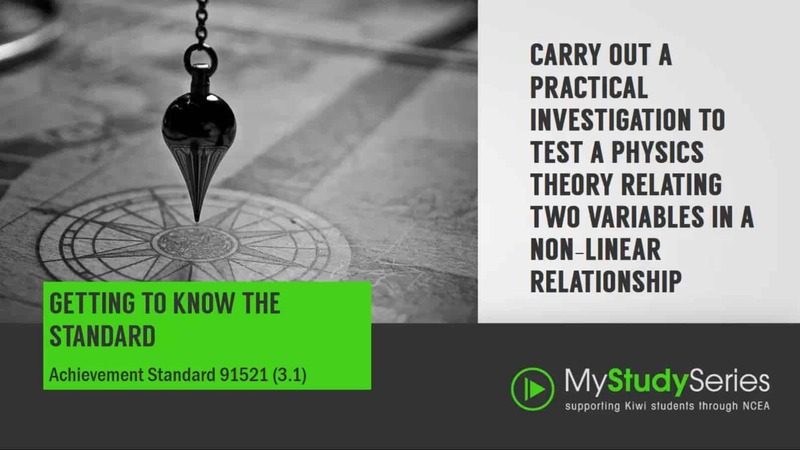 Carry out a practical investigation to test a physics theory relating two variables in a non-linear relationship. 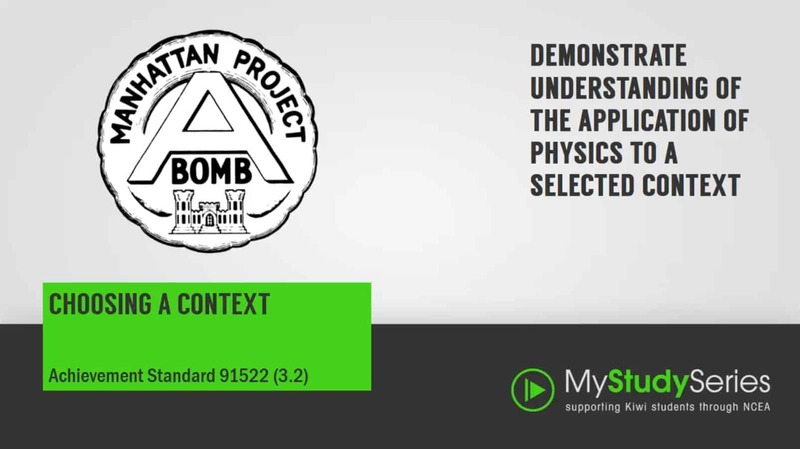 Demonstrate understanding of the application of physics to a selected context. 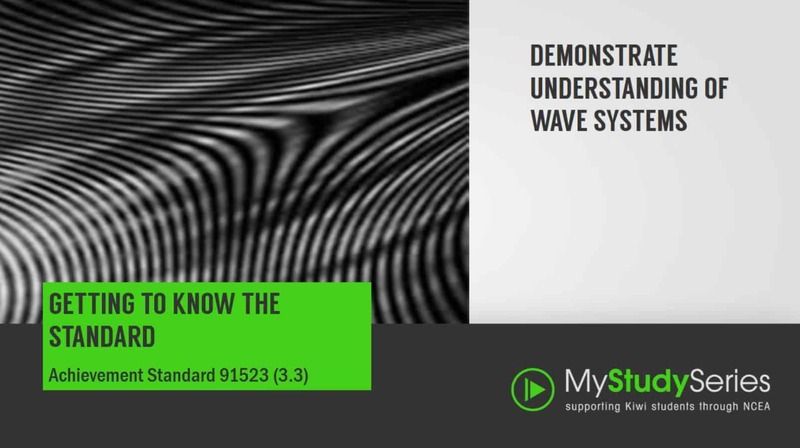 Demonstrate understanding of wave systems. 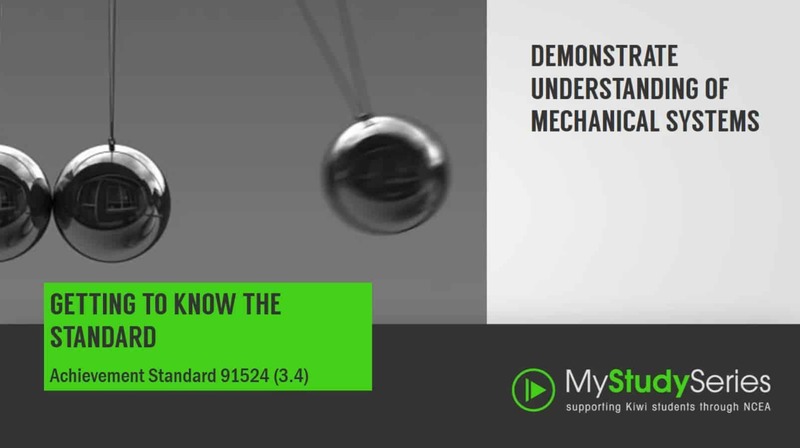 Demonstrate understanding of mechanical systems. 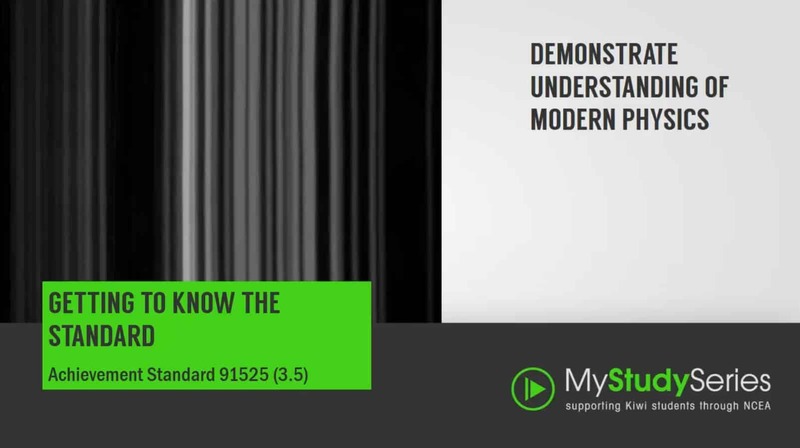 Demonstrate understanding of Modern Physics. 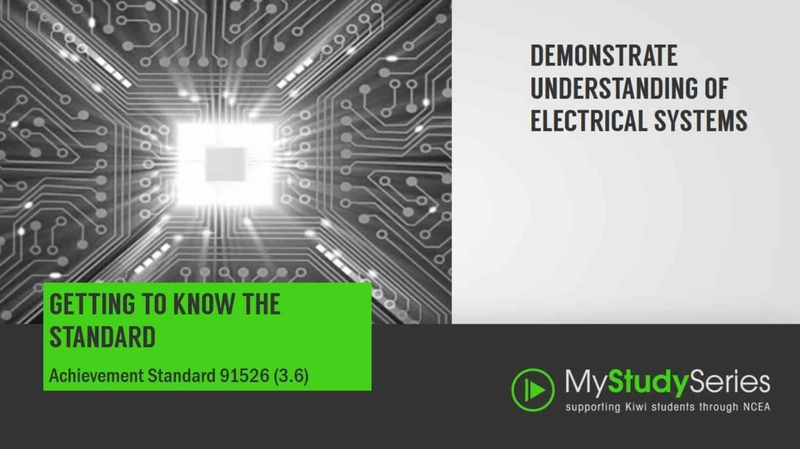 Demonstrate understanding of electrical systems. 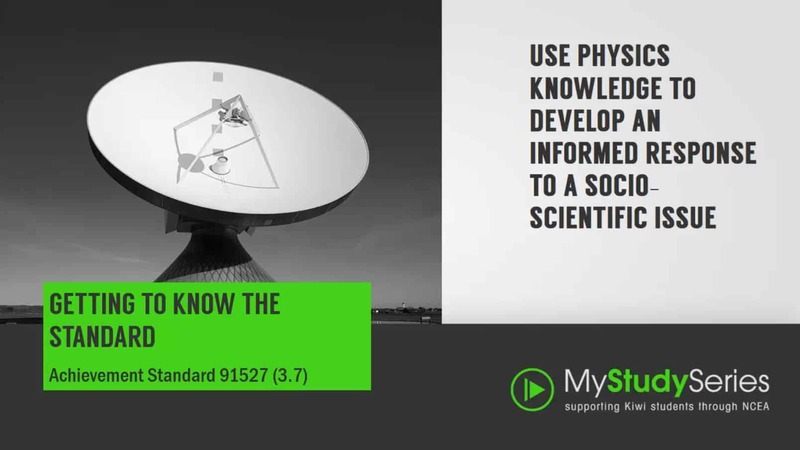 Use physics knowledge to develop an informed response to a socio-scientific issue.